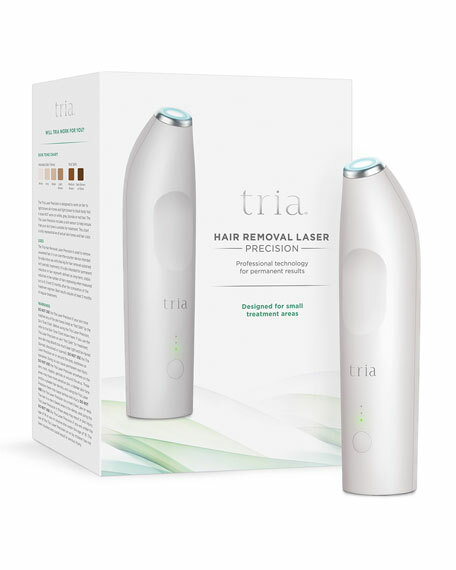 Tria Laser Precision is an FDA-cleared at-home hair removal laser specially designed to deliver professional, permanent results and laser-smooth skin in smaller, sensitive areas. 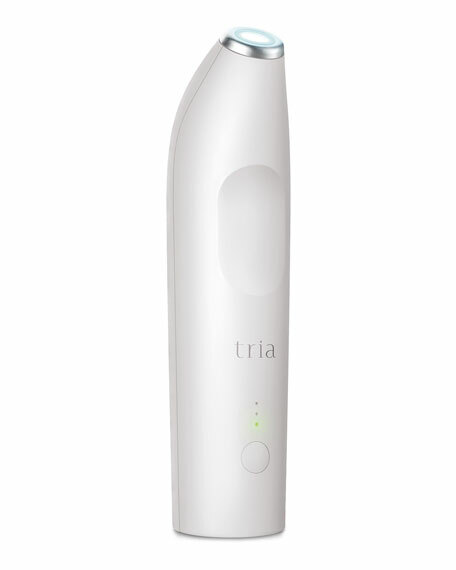 Tria Hair Removal Laser Precision uses professional-strength laser hair removal technology that is preferred by 9 out of 10 dermatologists. It targets the pigment in your hair and permanently disables the hair follicle's ability to regrow hair. Clinical studies have shown up to 70% hair reduction within 3 months. What you get is laser-smooth skin and permanent results in small sensitive areas. This breakthrough at-home solution eliminates the disruptions and irritations of shaving and waxing in those small, sensitive areas such as the underarms, bikini area, and the face. Weighing less than a pound, the feather-light, slim body allows for better control around the body's curves and hard-to-reach areas. 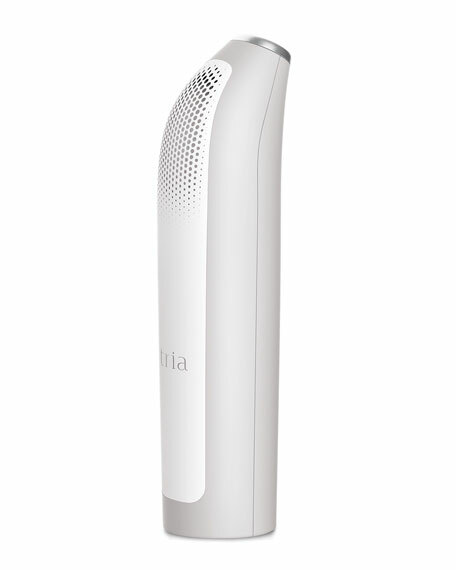 With the Tria Hair Removal Laser Precision, you can experience how easy it is to achieve laser smooth skin in the comfort and privacy of your own home at a fraction of the cost of professional treatments. Cleanse, shave and dry the area you wish to treat. Prepare for laser treatment by applying Smooth Start Calming gel to skin. Choose your treatment level, and begin by placing and holding the laser tip on your skin. After each pulse, lift and place the tip in a new treatment area. For in-store inquiries, use sku #168108.